COLOR(S): Yellow, reddish brown, gray, brindle. With or without white markings and black mask. The Biewer Terrier, also called Biewer Yorkie, is a rare breed of toy dog that has long hair hanging quite straight down the side of its body. The breed was developed in 1984 due to a so-called Piebald genetic recessive gene, originating from 2 Yorkshire Terriers. It is seldom found outside of Germany, its country of origin, where it was bred. 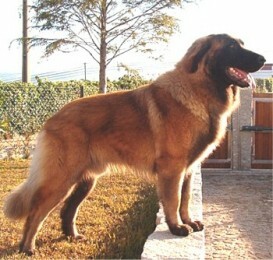 The breed was first imported into the USA in 2003. The breed standard is that of a Yorkshire Terrier except for the coloring. The head must have three colors: black or blue, white, and gold in good symmetry. The belly, chest, legs, and the tip of the tail are white. The tail is full. The back is blue or black with white in it. The hair is silky, not curly. As a very new breed, there remains some controversy over whether the Biewer is a completely separate breed or is simply a color variation of the Yorkshire Terrier. However, true Biewer Terrier puppies and dogs can only be achieved via multi-generation crossing. These little dogs are oblivious to their size, since their temperament is that of a highly energetic, eager to please dog. They are lively, and rambunctious. Much like the Yorkshire Terrier, this breed is very loyal to their family and owner but can be aloof and aggressive with strangers. Biewer Terrier puppies and dogs are a demanding breed and need a lot of human attention. Although they are of a sweet temperament, they can get snappy and aggressive if over-teased or provoked. Thus Biewer Yorkie puppies and dogs also make great guard-dogs. This little dog must not be overprotected, as it might cause it to become neurotic. However, Biewer Terrier puppies and dogs are the happiest lying on their owners lap. This can be a high maintenance dog, depending on its purpose. Families wishing to have a Biewer Terrier as a companion will usually choose the puppy-cut look for these little dogs. Biewer Yorkie puppies and dogs need to be bathed only once in 2-3 weeks. Combing should be done every week with a wire comb. Those Biewer Terrier puppies and dogs that are taken to shows need much more attention. Their coat will reach the ground and are specially groomed. Breeders, who specialize in showing these little dogs, will rap the coat, so that the coat reaches the floor and is rather impressive-looking! Biewer Terrier puppies and dogs are susceptible to eye irritations, tracheal collapse, premature dental disease and patellar luxation. Biewer Terrier puppies and dogs are prone to bronchitis and early tooth decay, poor tolerance of anesthetic and delicate digestion. Teeth Cleaning is important for the Biewer. Although Biewer Terrier are rather active dogs, they fair well in apartments, and do not require a yard, if they are sufficiently exercised. These active little dogs need daily exercise, so please keep that in mind. Biewer Terrier puppies and dogs are easy to train, although they can be stubborn at times. They perform well at obedience training.